The study of Nursing Informatics can be viewed through a number of different lens. The most common ones include the standard areas of nursing: Nursing Practice, Nursing Education, Nursing Research and Nursing Administration. Nursing Informatics can also be viewed through the sociological lens of hegemony, empowerment, dialogue, synthesis and creative expression. In my own PhD work I have also spent time looking at Nursing Informatics through another group of lens: It is imperative that nurses, who are dedicated to the support, protection, and empowerment of their clients to consider as we incorporate technology more and more into nursing care. These are the lens of antithesis, artifact, utility, technique, agency, networking, and power. Within this site, the topic of Nursing Informatics and all of its nuances will be examined and described within the reflection of these particular lens and contexts. cultural shaping of nursing in preparation for the future. This section has been added to explore the presence and image of nurses within cyberculture (this section is also part of my PhD work at the University of British Columbia). This is a first attempt to examine the use of cyberspace by nurses to teach, share, dialogue, share our stories, write, and to form community using informatics and cybertechnology as vehicles for expression and dispersation. 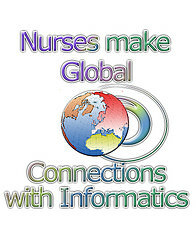 The importance of developing a culture within nursing for informatics and technology literacy is deemed a critical and preliminary step in the process of nursing informatics development and competency building. Understanding what currently exists and does not exist helps to place nursing informatics into context for the practicing registered nurse and helps point out what is needed in the education of future nurses. The advent of the Internet and other communicative and creative technologies has potentiated the evolution of several media resources that can aid in activist initiatives in profound ways. This sitel introduces nurses to many of these resources, including viral Flash, Internet and Email Campaigns, web sites, downloadable print materials, and so on. Nurses are intelligent, articulate, and caring individuals who already know how to approach issues from a wide-angle perspective. Their ability to holistically view a situation makes them prime candidates for effective activism. If nurses can learn to capitalize on the potential of mass media, their ability to affect change and solutions will skyrocket. "We develop the concept of "learning communities" to meet the need for democratic, inclusive, and on-going innovation.... We conceptualize "learning communities" as dialogic and "playful" spaces within which members can draw creatively on their differences while constructing shared knowledge" - Page & Scott, 2001, p. 528*. * Page, M. & Scott, A. (2001). Change agency and women's learning: New practices in community informatics. Information, Communication & Society, 4(4), 528-559.